Humans have a long and special relationship with horses. Equus Coaching places a human in relationship with a horse in a manner that allows the human to learn about himself based on the behavior of the horse. When a human stands beside a horse, the horse treats the human as a member of the herd. Just as it would with a horse, it continuously monitors the human’s emotional state. This is one method of communication that horses use to stay safe – any horse who senses danger needs to communicate it quickly and silently to the rest of the herd. This ability to sense the human’s emotional state is tremendously valuable in helping us see through the horse's eyes how we are presenting ourselves in the moment, and it can help us remember or re-learn how to tune in to our own body’s wisdom, rather than just our intellectual, rational wisdom. Our body intelligence kept us alive during the millions of years prior to the development of our cognitive abilities—unfortunately our culture often trains us not to trust this innate wisdom. Horses provide a clear and quick way to reconnect with the non-cognitive 90% of our nervous system and learn how to integrate it with the 10% cognitive piece. My version of equine-assisted coaching is a unique combination of Equus Coaching™, Family System methods, and all the other methods, tools, and techniques I have learned over the years. I rely on my experience and intuition to offer you an equine experience tailored to you. What happens in a private Equus coaching session? I then ask you if you have an intention for the session. If you do, we discuss it to help me understand clearly what it is you hope to gain from our session. I then invite you to choose a horse from among those available for our use that day. I use that horse to give a safety demonstration inside a 60’ diameter round-pen. The round pen provides a convenient place to work with the horse in a safe environment. I often demonstrate some natural horsemanship (horse whispering) techniques in case you want to try them. I then invite you to come inside the round pen with the horse. Depending upon your intention and your level of comfort with being alone with the horse, I may work with you from outside the round pen. What happens next depends to a large degree on your intention and my intuition about what will best serve you. Sometimes we use natural horsemanship techniques, other times I set up a constellation for you and we work that way. Either way, we spend about an hour working with the horse. We close by thanking the horse and returning him to his pasture or stall. We then discuss what you received and are taking with you. We may also talk about next steps or homework. Why are horses helpful for this work? Horses are prey animals who live in small groups called bands, and who rely on each other for their safety. If one horse is alerted to possible danger, her alertness is immediately sensed by the other horses in the band. 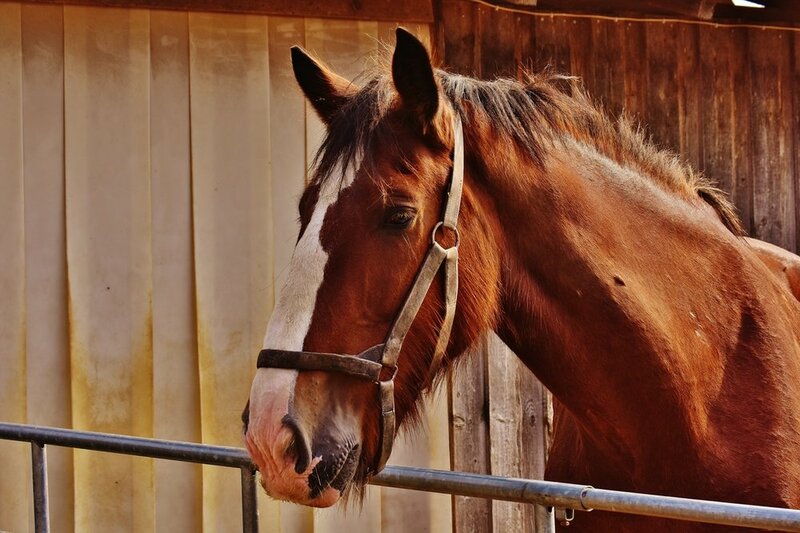 Horses sense each other’s emotional states automatically and continuously so that this essential information is available to everyone in the band. When you enter a round pen with a horse, he/she is continuously assessing your emotional state – you are being treated as a member of the band/herd. What I have seen consistently is that when a client gains an insight or an answer to a question that is true at the deepest levels, i.e., when mind, heart, and gut are congruent, the horse comes over and stands next to the client. This feeling of congruency or authenticity feels good to the horse, and the horse prefers it to whatever it was doing prior to the client finding her truth. As you learn to interpret the horse’s body language and other forms of communication, he becomes a tool for you to see how you are presenting yourself to the world. Clients invariably accept this information from the horse much more readily than from a human, as they sense that the horse has no agenda and is simply expressing its truth in the moment. How can working with a horse teach me about relationships? When one works with a horse that is not wearing a halter, the horse is free to do whatever it wants within the confines of the arena or round pen. If the horse wants to be near you, it will approach you. If it wants to be somewhere else, it will go there. The horse is not concerned with what you think about it. In short, it models how to be independent and relational at the same time. Sometimes we work with a horse using a halter and a longe line to do exercises that can teach you about boundaries. You learn how to communicate to the horse where your boundaries are and ask him to respect it. This is expressed by showing the horse where you want him to be in relation to you, i.e., what distance you want between you and the horse. For many people, demonstrating in a physical way what they need from the horse translates very quickly into learning how they can start setting physical and emotional boundaries in their relationships with children, parents, intimate partners, friends, bosses, direct reports, and co-workers. Contrary to what many people learned as children, setting healthy boundaries is a prerequisite to having greater intimacy with a loved one. Why are horses good at teaching leadership and teamwork skills? Horses are naturally curious and love to play. Each horse has a unique personality just as humans do. We use herding exercises with a horse or horses to help individuals and teams experience in real time how they are showing up as leaders and followers. The horses are free to move as they interact with you (and your teammates) as you attempt to get the horse to navigate a set of cones or other objects laid out in various shapes or patterns. You and your teammates must learn to work together to communicate to the horse what you want it to do without using force. These exercises are normally done without words so that you must focus on your body language and presence, that of your partners, and that of the horse. To be effective at these exercises, leadership must be dynamically passed from partner to partner at the appropriate times. Hierarchical notions of leadership do not work well in this environment, and this can be quite challenging for some to learn new ways of leading and following. It is also true that the more playful and relaxed one becomes during the exercise, the more readily one can adopt the leader/follower attitude that works for the horse. These exercises are great at helping couples see how they are working as a team (or not), and learn things about each other in a non-judgmental way. The exercises are also fantastic for teaching corporate groups about teamwork and leadership. How is a group workshop different from a private session? When working with a group, individual sessions with the horse are shorter, typically about 15-30 minutes, rather than the usual hour with the horse. However, the group is normally watching while you work, and you watch while others work. Most people find it very powerful to watch as other people do their work. They can see things that the client is doing that apply to their own lives, and the learning is just as effective, sometimes more so. There is also a group energy that grows as the members of the group work together and develop trust and friendships. Workshops also typically include group activities such as herding exercises. These are fun and effective at teaching individuals how they show up in a group setting. One learns about self-leadership, group leadership, and teamwork. Larger groups typically have more than one coach and activities other than working with horses. The other activities are usually centered on the theme of the workshop. Some examples of themes include finding your authentic voice, using mindfulness in your daily life, setting healthy boundaries, and relational empowerment.